Planning a family party? A milestone birthday? This package is for you. 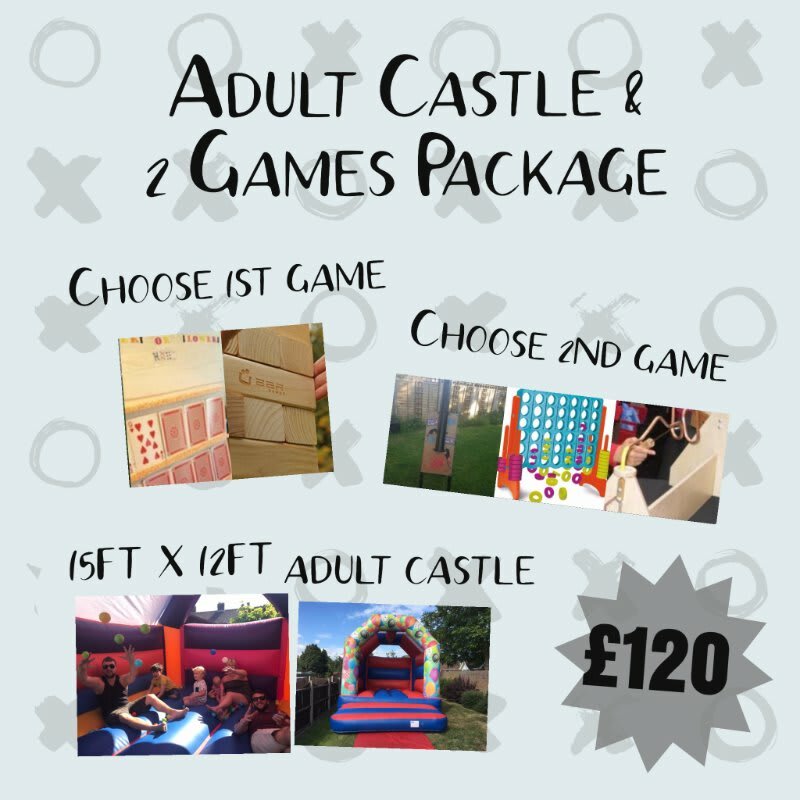 Our adult castle includes a fitted rain cover so showers won't dampen your party! 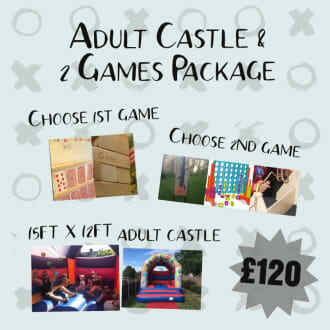 Choose from our selection of games so your party/event has entertainment for all!